We arrived in Yogyakarta on the train from Jakarta, which we mostly spent eating noodle snacks and Oreos. We were staying at Greenhost Hotel, the cutest eco-hotel ever. 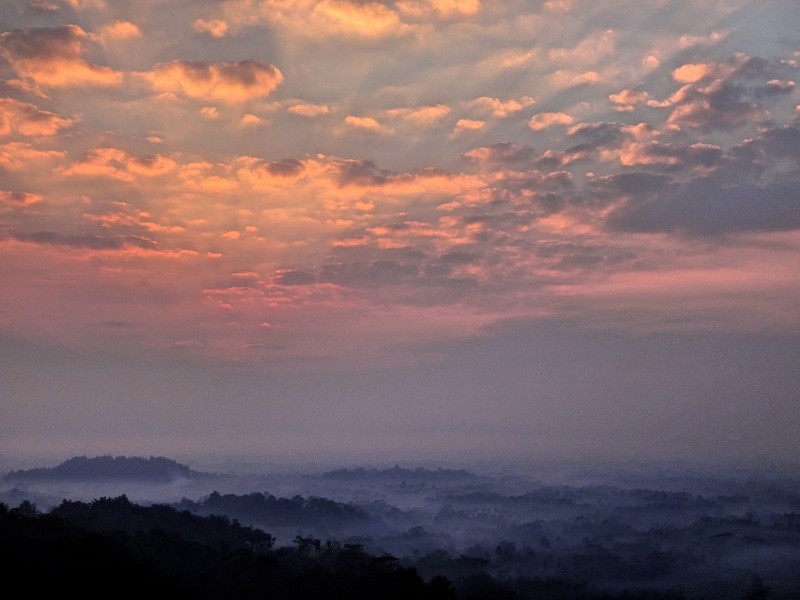 Since we’d had a pretty relaxing day, we decided we could get up early the next morning for a sunrise tour. 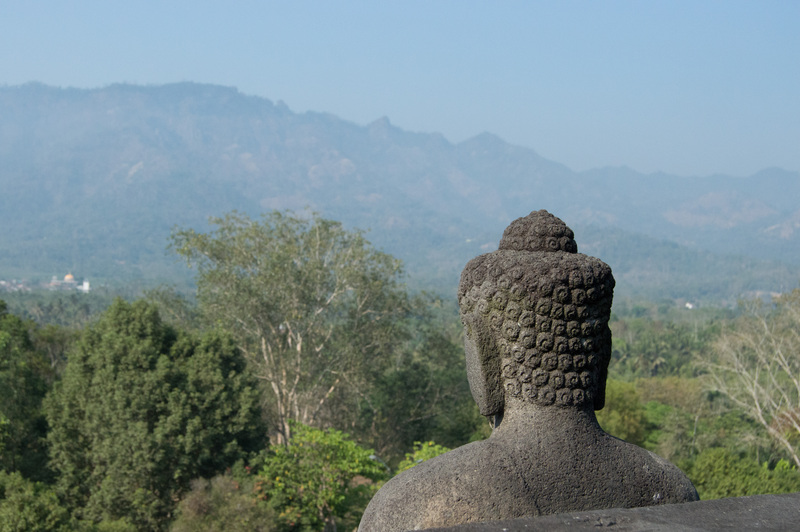 We were up at 3:30am and in a van to Punthuk Setumbu, a big hill with a good view of Borobudur in the distance. The other tourists in the van were all Dutch; it actually seemed that most tourists in Java were Dutch, perhaps because they used to own it? Anyways it was a quick hike up and we were early, so we claimed a good spot and settled in to patiently wait. 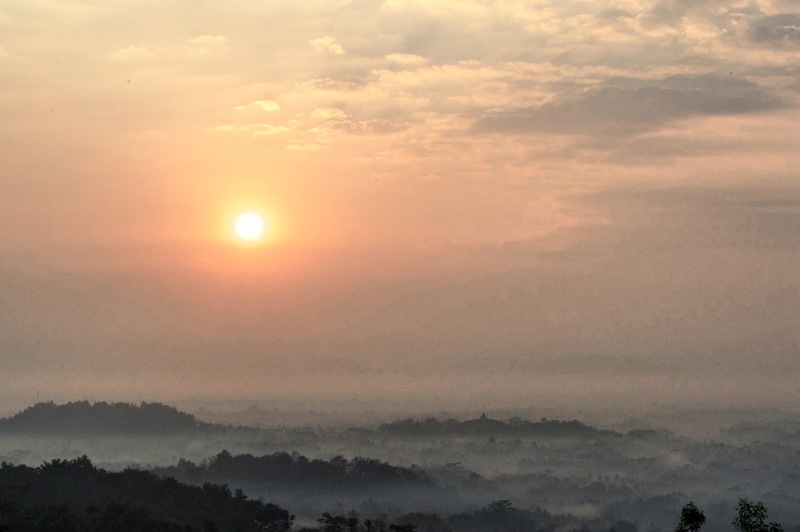 Sun’s coming up over Borobudur. As usual with these types of places, right before sunrise a whole whack of people showed up with enormously lensed cameras and crowded around. While they fiddled with their settings and took 30 billion HDR photos, we entertained ourselves by taking silly selfies in the sea of tripods (well, I was making silly faces, Chris was mostly looking sleepy). 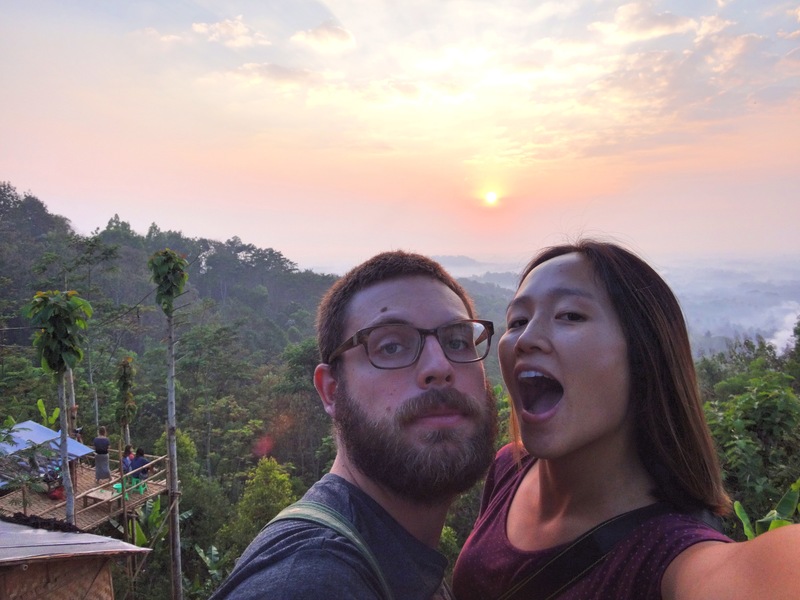 After the sun had risen sufficiently, we reconvened with the rest of our group and headed on to Borobudur, first stopping at an outdoor restaurant for some mass-produced fruit and toast with every other tourist heading to the temple. 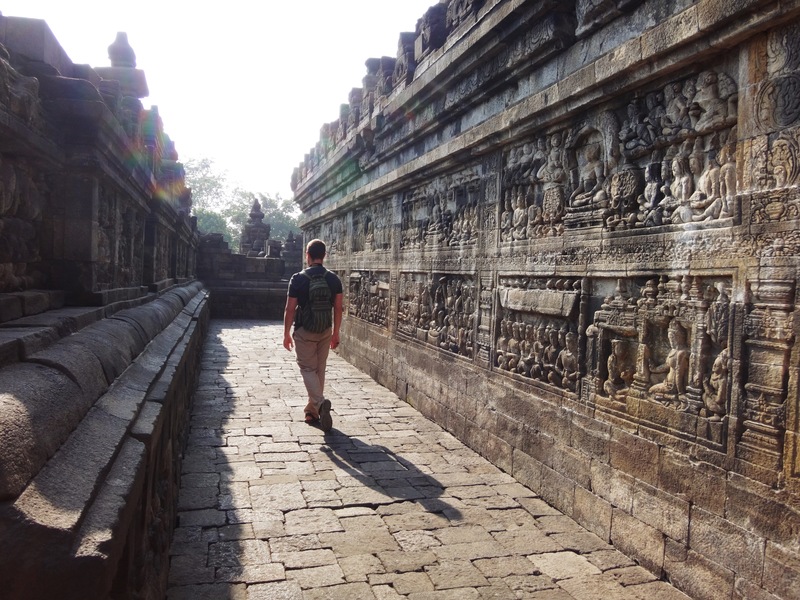 Once there, our tour guide got all furtive-looking and said if we let him buy our tickets for us he could get us discounted combo tickets for both Borobudur and Prambanan (another temple we were going to visit the next day). Not sure why he was acting so sneaky about it (possibly he was cheating us or the system or something), but we did get 2 passes for cheaper than buying all the tickets separately, so whatever. We saw the deal online later, so we don’t think there was anything shady going on. Inside the complex we stealthily sidestepped everyone offering guided tours (Chris was adamant that he had read all the relevant Wikipedia articles on the ride over so we didn’t need one) and headed directly to the temple. 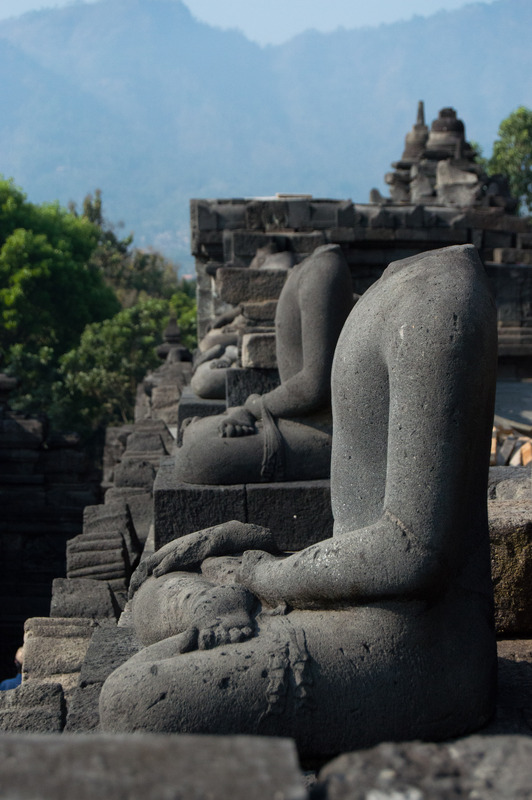 Borobudur was built in the 9th century, but fell into disuse when Islam became the thing to do on the island. Then when the British were ruling the place in the early 1800s they heard about it so they sent a Dutch engineer to go there and cut away the overgrown jungle covering it. 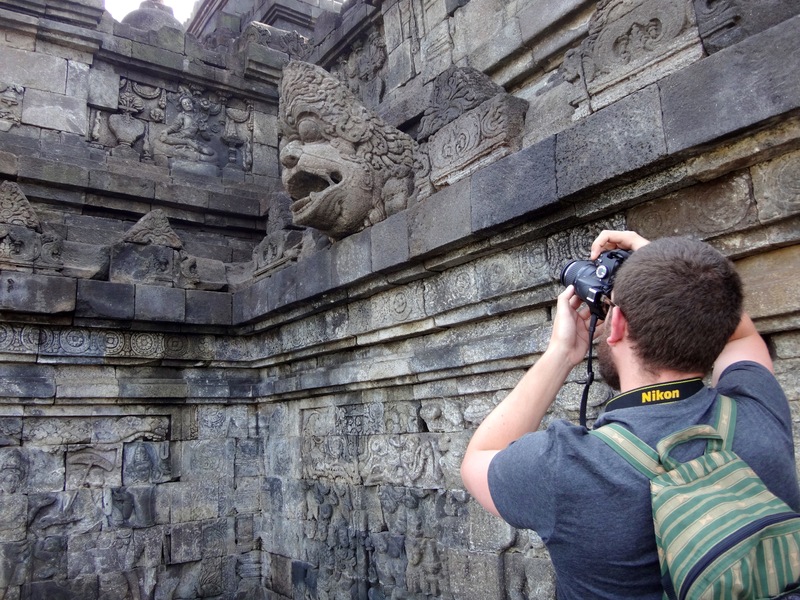 It has been a constant battle since then to keep the structure together (due to volcanic ash, drainage problems, and earthquakes) and somewhat preserved (due to looting of the site early on, and now the huge number of tourists that come here). Funnily enough, when the site was looted, mostly people wanted the buddha heads, so most of the buddha statues on the temple are headless. Parts of the temple (like the heads) can be found in various museums, including the British Museum. The temple is divided into 3 sections, symbolizing the realms of desire, forms, and the formless realm (nirvana). The lower sections are square, and then the top sections are circular. 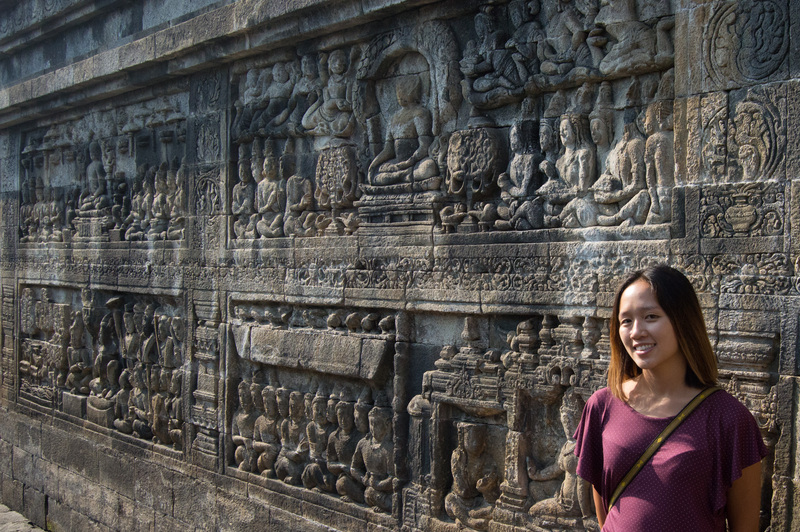 The sections have hundreds of relief sculptures depicting various people and scenes. At the base of the temple, it was discovered that there is actually a hidden base under the outside one, depicting karmic morality stories. Why this was all covered up is still not fully understood. 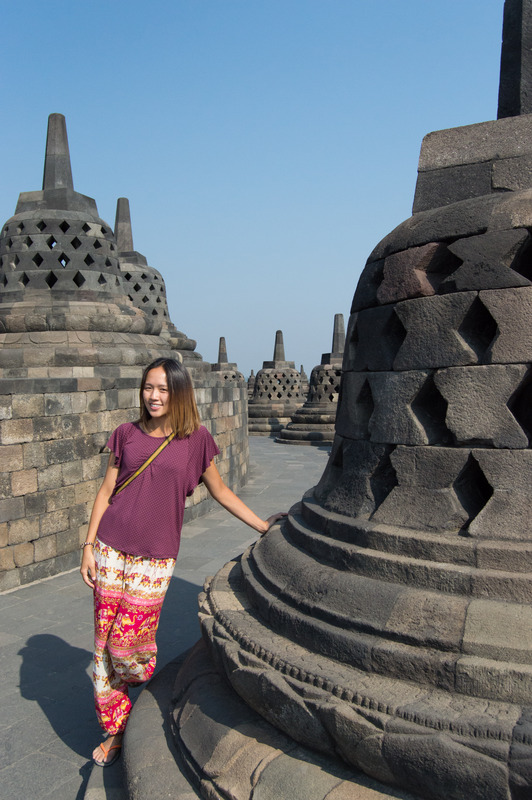 The “proper” way to see Borobudur is to enter via the south gate, walk around clockwise visiting each level (there are 9), and then exit via the east gate. I think this is partially for religious reasons and partially for organizational purposes. Since it was only 7am, it wasn’t too hot or crowded yet so we took our time wandering around, looking at all the reliefs and statues, taking lots of pictures, and occasionally eavesdropping in on other people’s tour guides. Temple photography of a drainage pipe. When we reached the top area with all the stupas they always show in pictures, I was pretty excited. Christopher was mostly hot so after we had completed our last couple of laps around the temple to get to the top (and I had made him take a sufficient number of pictures of me) we headed back down. Buddha (with head) looking out. At the bottom there was a display showing a large ship they had reconstructed from one of the reliefs and sailed to Africa. Chris was pretty pleased since he had read all about it that morning. 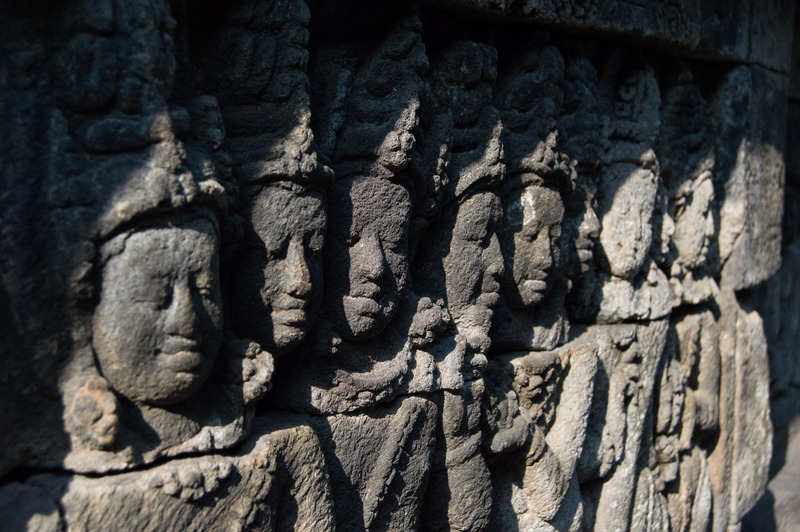 Apparently the reliefs of the temple have been used as a source of knowledge of various aspects of 8th century life in the area for archeologists for a long time. 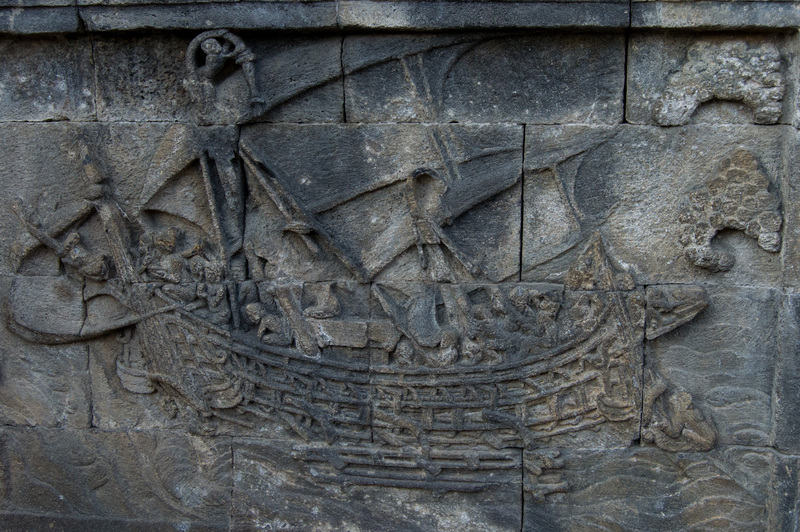 The ship that was reconstructed. As Borobudur is apparently the most visited tourist attraction in Indonesia, to get to the exit you have to walk through an enormous maze of vendors selling trinkets, t-shirts, and snacks. I thought we were going to be lost forever amongst tiny stupa replicas and rice hats, but eventually we managed to make it back to our van. Note to those that follow: if you don’t want to walk through a tent maze to get to the exit, just leave the temple from the same way you came in, not the marked exit. It would have been so much easier. We were on a group tour, meaning that now we would visit a number of workshops and such to support the local economy (i.e. employ some locals to demonstrate handicrafting and sell us souvenirs). 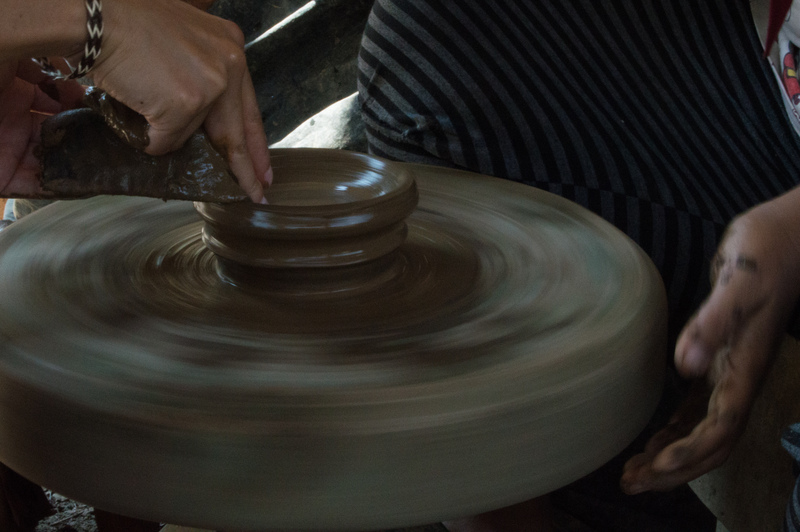 Our first stop was a pottery studio, where I got to try using the pottery wheel. I’m way better than the last time I tried this, which was when I was 8 and in a Mom-and-Tot pottery class. 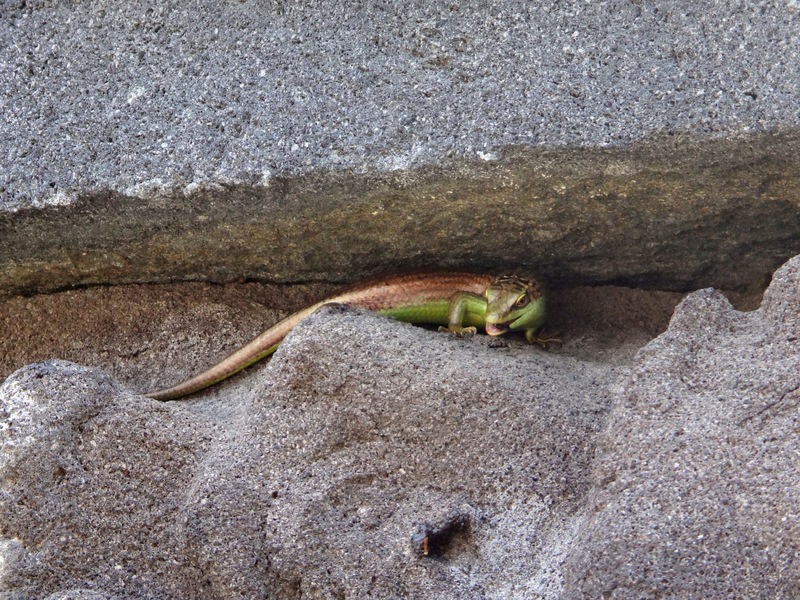 On the way to the next place we stopped at Pawon Temple, mostly exciting because of a cute lizard that was sitting on one of the reliefs and catching flies. 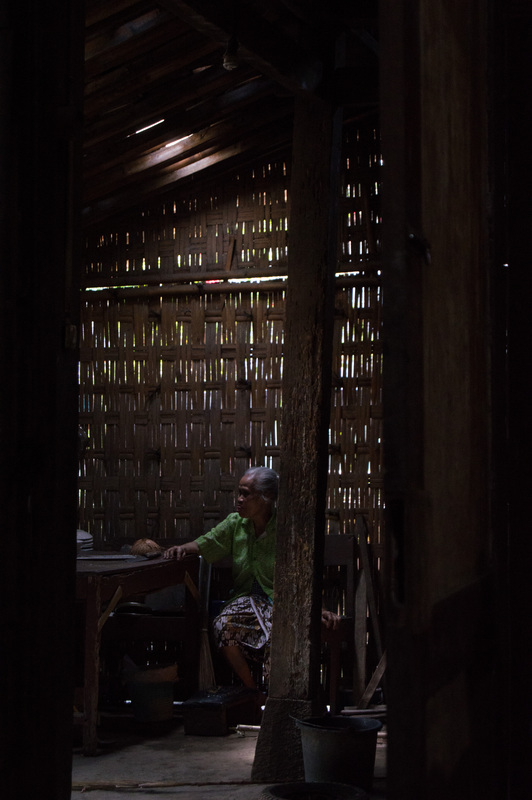 The next stop was the home of a little old lady who made palm sugar. I remembered the palm sugar snacks from Myanmar and was pretty pumped about it. She showed us around, then we sat down for some tea and sugar. I snuck a few pieces for the road on the way out. Then we stopped at a nearby luwak coffee factory. Luwak coffee is the most expensive coffee in the world, and it’s because it’s pooped out by this cute fuzzy animal, which is a kind of mongoose/raccoon type creature. For real. They let the luwaks free range through these coffee plantations, and then follow them and collect their poop. 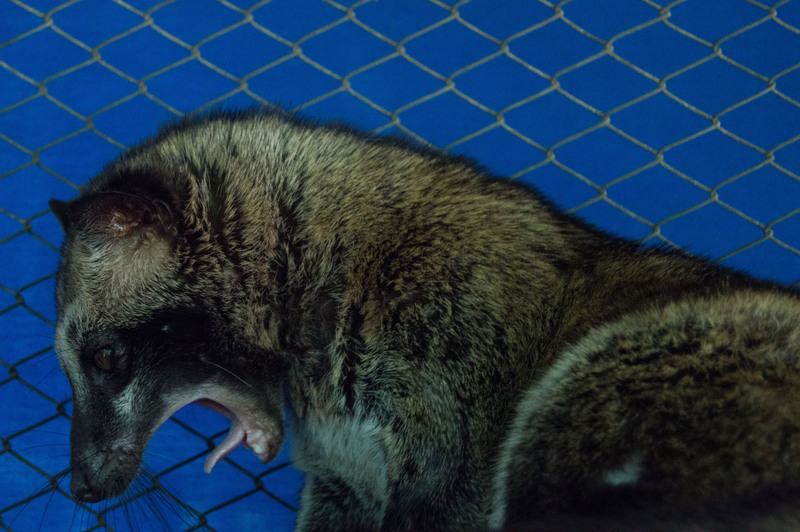 The luwak only eats the best beans, and the fermentation in their stomach is supposed to add to the flavour of the beans that they then make into coffee. We tried some and it was pretty good I guess (I’m in no way a coffee connoisseur, I am a Tim Horton’s double-double girl), although I think there are probably some animal rights issues in regards to the caged luwaks. 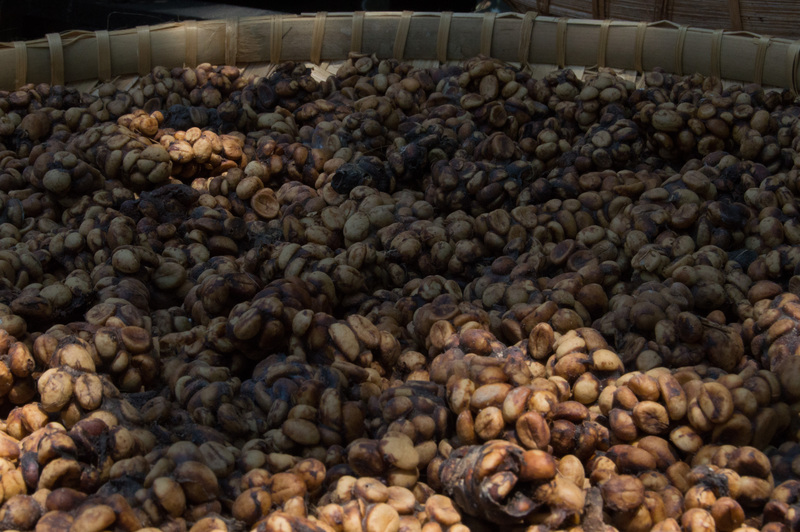 We at least know it was legit; we saw big baskets outside with luwak poop, then cleaned beans, and then saw them roasting them. As a final stop, we hit up a silversmithing/handicraft shop. The silver creations were pretty impressive, but as usual we didn’t buy any. When we got back to the hotel it was barely noon, so we ate some pizza and had a nap. Christopher discovered a Yonex badminton tournament on TV (because ASIA) and was super stoked about it. I discovered an amazeballs gelato place down the street and was equally stoked. So we rewarded our productive morning by eating and hanging out at our fancy hotel. Yay!